As a homeowner, you most likely look for ways to save money and reduce energy expenses. You may have already replaced the windows, added insulation, and installed a smart thermostat. These steps required an initial investment up front, but have saved your heating and energy bills tremendously over time. A hidden way to reduce energy expenses is by looking at indoor air quality control. There are many steps that can help you breathe easier in your home, especially when you see your monthly energy expenses decrease. Indoor Air Quality Control Tips. Focusing on indoor air quality control sounds like a great idea, but what pollutants are in your home? Every home most likely has at least a few indoor pollutants and more so in older homes. These commonly include oil, coal, furniture with certain pressed wood products, kerosene, an improperly adjusted gas stove, household air fresheners, and malfunctioning appliances. According to the United States Consumer Product Safety Commission, you may experience allergy-like symptoms when around air pollutants, but many people don’t experience symptoms for years. How Do You Implement Indoor Air Quality Control? There are numerous ways to control indoor air quality and many pollutants can be reduced with the proper HVAC system installed in your home. This will ensure your home has the right ventilation installed even in tight or closed off spaces in an attic or basement to reduce or prevent stuffy air, moisture build-up, mildew, and mold. Spaces that often contain moisture should have fans installed that exhaust outdoors, preventing pollutants from residing indoors. If you live in a home that is often damp, contains mold, and lacks proper ventilation, then you may experience constant allergy-like symptoms or frequent illnesses. Some of these sanitary issues may just require improved cleaning habits, but installing an updated HVAC system with proper ventilation will resolve many health issues. According to www.Ultravation.com, an updated HVAC system will also run more efficiently and have to work less to achieve and maintain the ideal air climate for your family. 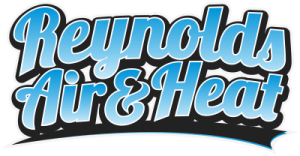 At Reynolds Air & Heat in Brevard County, Florida, we understand the importance of quality indoor air for your home or office. If you suspect that indoor air quality is contributing to health issues or is a result of poor ventilation and your HVAC system, contact us to schedule an HVAC system evaluation. We offer a full line of High-Efficiency Particulate Air (HEPA) Filters and UV Light Air Purifiers, assuring better indoor air quality for you and your family. If you are concerned about your HVAC system’s energy use, we have several ways to ensure that your system is running at peak efficiency. To schedule an appointment give us a call or visit our appointments page.